Iranian newspapers in their Saturday and Sunday editions widely covered the terrorist attack, discussing various aspects of the crime, especially the dangerous trend of Islamophobia and double-standard policies of the West. Over the past decade, Australia has turned into one of the West’s strongly anti-migrant countries. The fact that the assailant behind Friday’s attack in New Zealand was an Australian-born citizen bears witness to the effects of anti-migrant policies adopted by Canberra. Some rightist and ultra-right governments in Europe, too, have recently adopted the Australian model as a successful mechanism to keep migrants from entering their soil. Claims of tolerance and of the coexistence of different ethnic and religious groups side by side has become a thing of the past nowadays. Over the past decades, European countries were regarded as pioneers of advocating refugees and migrants’ rights. They founded many institutions and initiated numerous international agreements in order to support asylum-seekers’ rights. However, they have now turned into leaders of a campaign against refugees, trying to separate nations and religions from one another. The measures adopted by Australia over the past years were so heart-wrenching that they even made the most radical anti-migrant governments concerned about the fate of migrants in the Pacific Ocean. In fact, Australia does not even care about migrants’ right to live and refuses to provide the minimum requirements for their living. These anti-migrant polices which have turned into anti-human policies have gradually had an impact on the Australian public opinion and its people’s culture. Australia, a country which, itself, was established based on the migration of people from south and east Europe, is gradually turning into a place for forming terrorist ideologies against migrants and followers of other ethnic and religious groups. 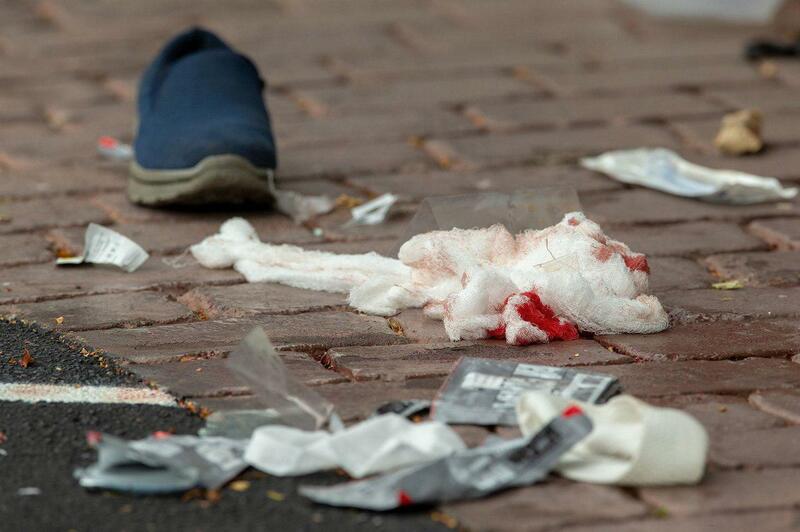 A clear example of that was Friday’s terrorist incident in New Zealand in which dozens of Muslims were killed. The promotion of the Islamophobia and anti-migrant culture as well as failure to seriously combat such sentiments and cultures will leave the door open for more such criminal acts to happen. Today, we are seeing anti-migrant and anti-Islamic comments, propaganda and policies by all official and unofficial as well as private and state media, governments and NGOs all across the Western world on a daily basis. Among the moves which have become the order of the day in Western countries are to associate Islam with violence, demonize Muslims and people in the Middle East, and create restrictions for individuals simply because they belong to a specific geographical area or a specific religion. If similar acts, even on a scale of one to a thousand, were done to religious minorities such as Christians, then Western media and governments would shout in protest. Nevertheless, not a single day or hour passes without Muslims in West being discriminated against or humiliated, or their rights being violated. But no objection is made to such moves due to the anti-Muslim and anti-migrant culture there. Meanwhile, the conservative Javan daily also reacted to the recent terrorist attack against Muslims in New Zealand. The full text of the article published in the newspaper in that regard follows. It seems the racist policies adopted by US President Donald Trump against Muslims have had an impact on radicals in countries in the East as well and they kill Muslims under the influence of Trump’s approach. The murderer, who has racist and Islamophobic ideas, has stressed that he hates Muslims and those who have converted to Islam. In a video, the terrorist says he wanted to tell Muslims that they cannot encroach upon the territories of white people, and that the land of White people will never become a place for Muslims. They term the murderer a “patient” at a certain time, and a “terrorist” at some other time. [Iran’s Ambassador to Britain] Hamid Baeidinejad published on his Twitter page excerpts from news stories run by the BBC Persian Service about the New Zealand terror act as well as the knife attack in London. “Senior BBC officials brought so much justification in order not to term ‘an act of terror’ attacks by ISIS and separatists in Iran. But in the eyes of the BBC Persian, there is only one yardstick against which to judge whether or not an attack is a terrorist act. When such acts are committed in Western countries against non-Muslims, they call them terrorist acts and give them extensive coverage. But when Muslims are targeted by terrorists, they simply call it ‘an attack’ and describe the perpetrator behind the crime a psychopath,” he wrote.